An earthquake of the magnitude 3,1 occurred at Ingólfsfjall near Hveragerði in south Iceland at 12:20 today, according to the Icelandic Meteorological Office. Several aftershocks have followed. From Hveragerði. Photo by Geir Ólafsson. Seismic activity has been detected in the area over the last three weeks. The number of earthquakes has increased but most of them have been very small, or a maximum of 1,0 in magnitude, mbl.is reports. 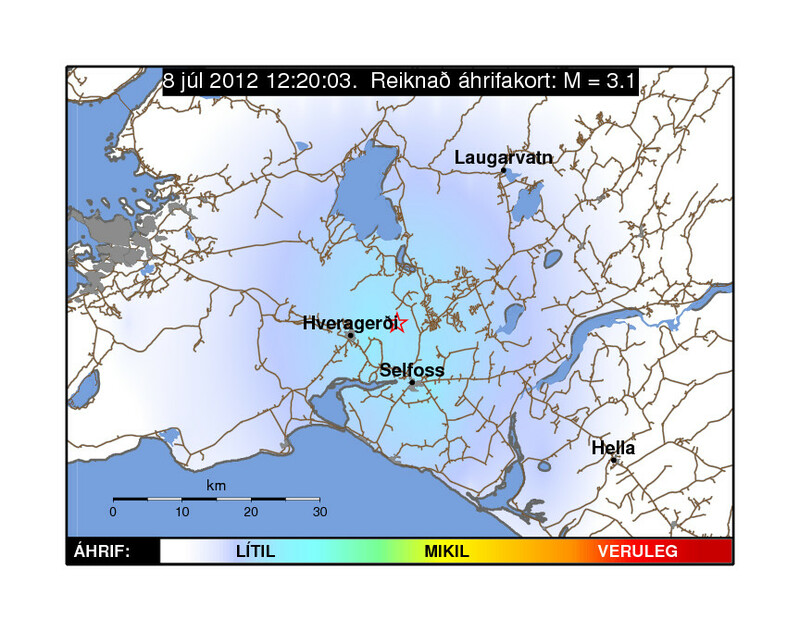 The earthquake was felt in the towns of Hveragerði and Selfoss, as well as surrounding areas. No damage has been reported.